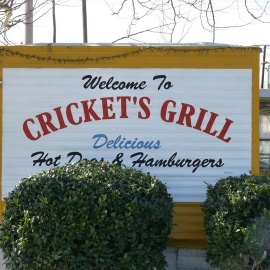 Welcome to Cricket's Grill home of delicious Hot Dogs, Hamburgers and other specialty menu items. We have a diverse menu with Smoked and non-smoked foods, appetizers, wine, beer, and liquor. Voted BEST SUB SANDWICH in Johnston Co. by readers of the Cleveland Post. Voted FAVORITE BREAKFAST by Attractions Dining & Value Guide. The BBQ Brothers is a service organization with the goal of helping children and our local community.